what a cute outfit! so glad to have stumbled upon your blog :) All the best to you on VDAY! Cool look, love your coat and shoes! 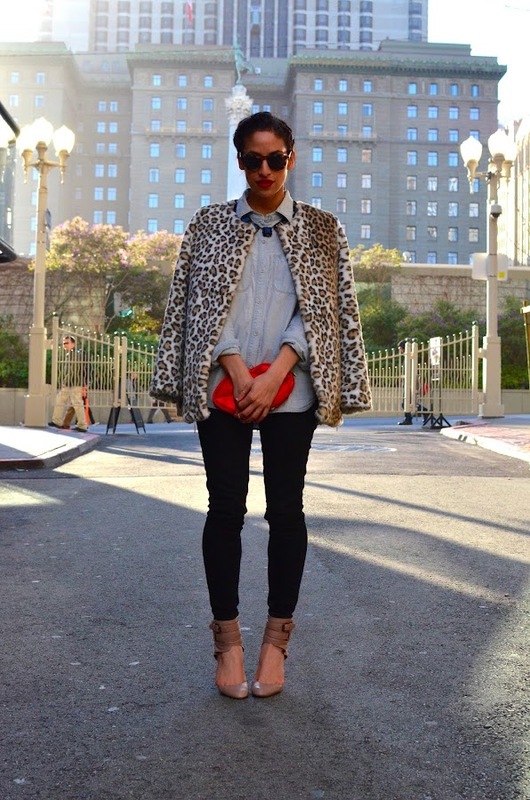 I love how you styled the leopard! You look great! Lol funny you scored that coat in the kids section!